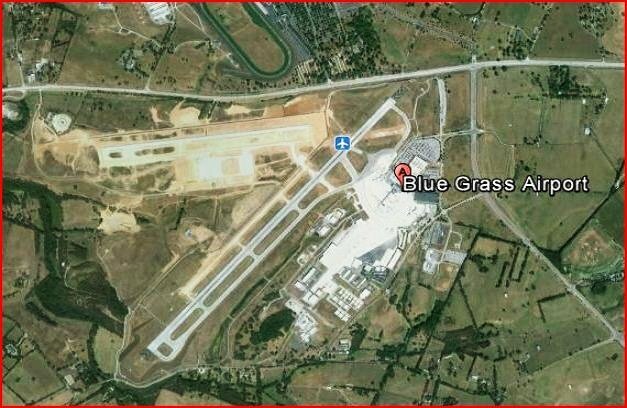 STRANGE ALIEN CRAFT OVER LEXINGTON KENTUCKY AIRPORT. Silver Elongated Oval object Flying a few miles west from Bluegrass Airport heading east/north east between Lexington and Versailles. A few thousand feet off the ground, but below any cloud cover. Would have thought it was an airliner, but no discernible wings or sound. I live in the flight path of an airport, so I am pretty familiar with planes coming in and landing and flying over head. This was in board daylight around noon. It looked like it would have been a airplane doing a wide circle of the airport for a landing run, except I could not see wings and the object make no sound [IE there was no trailing jet roar, typical with most airplanes]. Also the object was in airspace typically not used object was a significant distance off the ground, over 1000ft, but not high enough to be a normal airliner cruising. It was also in an air space that normally the planes entering or leaving the local airport do not use for circling. It headed east/north east for a about a minutes or so, then seemed to turn north/north east and disappeared heading that direction. NOTE: The above image is a rendering. Hallstrom began wondering if it was some kind of helicopter, but it was approaching at high speed. 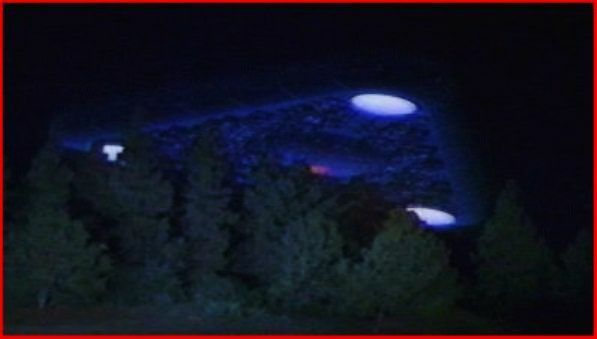 As the UFO passed about 6,000 feet to his left, he was looking down on it an angle of about 30-45 degrees. Then the true form suddenly became clear to him. There were no rotors, no tail assembly. 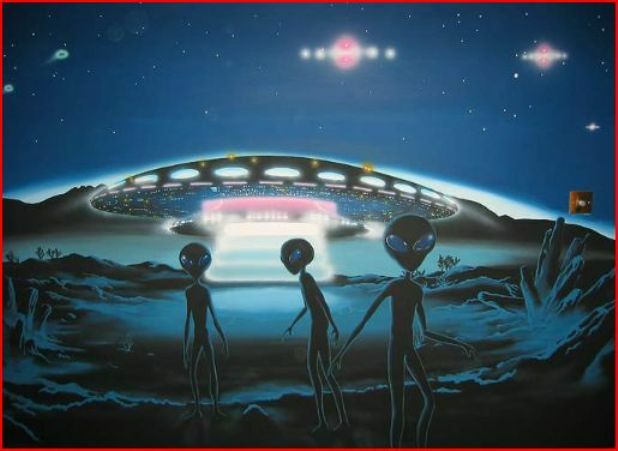 “All of a sudden I was able to make out the complete form of a saucer shape or round object…I could see the dome, also very vividly clear, including all the windows…. [I] observed it to be of a very bright metal…it was more of a nickel or highly polished chrome or stainless steel type of metal than aluminum because it had more of a mellow glow than [if] it was of the type finish on a high finish aluminum.” About 16 to 20 evenly spaced windows were visible around the circumference of the dome, located just above the base. The dome appeared to be a perfect hemisphere about 20 feet in diameter resting on the base which was about 30 feet in diameter. The UFO continued on a course of about 310 degrees (opposite to Hallstrom’s course) with no sign of rotation, oscillation, pitch, roll, or yaw. Neither was there any sign of a propulsion system. The sun reflected off the dome as a bright spot as the UFO passed. 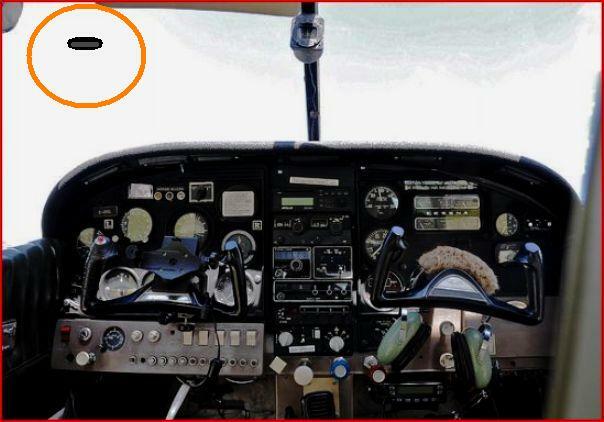 After about a minute the object disappeared from view behind the Cessna. Hallstrom estimated its speed at about 650 m.p.h. He quickly took notes and made a sketch of the UFO. Reaching for his radio microphone, he first called Jim Victor to report what he had seen. Then he notified various FAA authorities. Hallstrom, who was shaken by the sighting, later had troubling dreams, mostly about UFOs and aliens. He had not taken the subject seriously up to this time, but the implications of what he had seen struck home to him. He later reported that the experience had altered his entire life. NOTE: The above image is a rendering. Description: My name is T.K. I live in St Francis, WI at the Landing Lake Condos. A plane crashed into Lake Michigan. A single prop plane crashed killing two people. Police were looking around in the Lake. News organizations were there to report the incident. My girlfriend Pam and I went out to look after hearing about it. It was a little after the crash. I guess the time was about 5 PM. 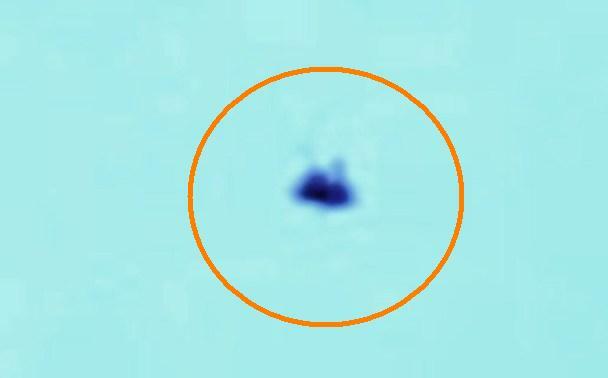 I noticed up in the sky and saw this black “Mickey Mouse eared” floating black object floating in the sky near, but not directly above, the boat activity. It was northeast relative to my position on the lakefront. There was no sound. It floated or hovered. It was very difficult to capture with my girlfriend’s Olympus camera. The focus went in and out. Luckily it was set to take quick shots in rapid succession and I captured these images. Then the object slowly moved up and away. It disappeared into the clouds as it moved east over the Lake. I hope you find the photos interesting. I used my girlfriend’s computer to crop and zoom in on the images. She still has the originals on a memory card for the camera. If you have questions, feel free to email me. Note: The original photos have been requested. It is difficult to explain this sighting. 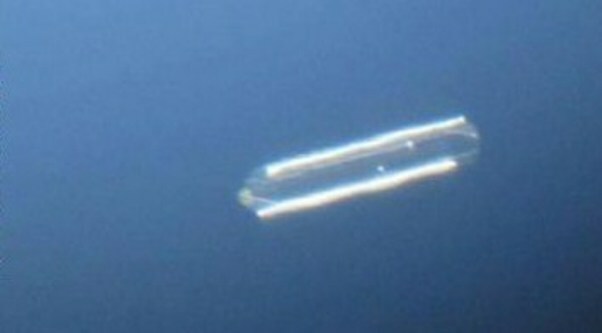 It looks like some sort of floating debris, but the fact that it ascended out of sight debunks this explanation. 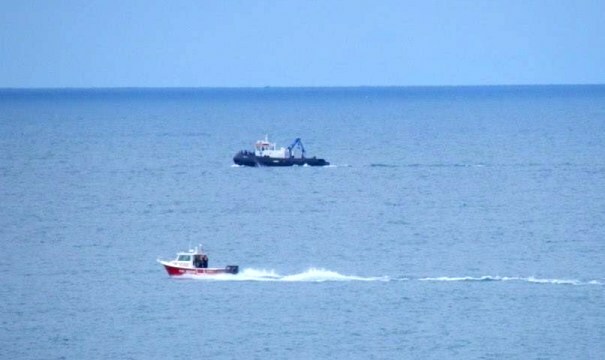 The news article taken from Milwaukee Journal Sentinel Follows: (http://www.jsonline.com/news/milwaukee/) Two people were killed when a small plane crashed Saturday in Lake Michigan off Cudahy, the U.S. Coast Guard said. The bodies of two middle-age males were pulled from the plane, which was found beneath 42 feet of water, said Erik Leuenberger, search and rescue mission coordinator for Lake Michigan for the Coast Guard. The Coast Guard identified the pilot as William Gensler of Racine. Officials said they were not releasing the name of the second victim, pending notification of relatives. Rescue crews from the Coast Guard and Milwaukee Fire Department responded to the crash, which was reported about 2:50 p.m. Sixteen divers searched the lake for more than six hours. Two helicopters and seven boats assisted in the search. Officials said it isn’t known whether any others were on the plane and that the search would continue until they confirm that no others were on board. The plane was a four-seat, single-engine 1975 Piper Cherokee, which was reported down about 1.5 miles east of Cudahy. The plane is registered and based out of Batten International Airport in Racine, where it took off at about 2:30 pm Saturday, according to airport general manager Dave Mann. 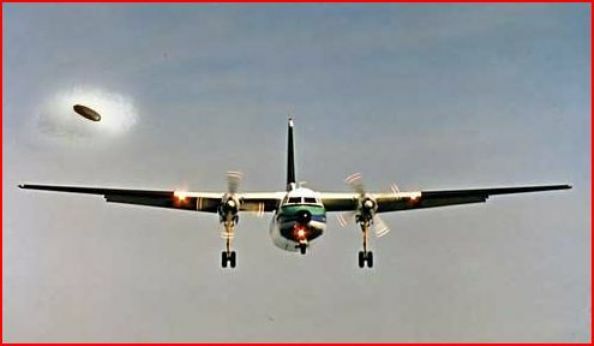 The Coast Guard said the plane apparently was bound for Oshkosh and the EAA AirVenture, which begins Monday. NOTE: The above photo is one of many that was supplied by the witness. TWO FRIENDS ALIEN ABDUCTION AFTER A CAR ACCIDENT. Driving for a national carrier, I expected to see the country and enjoyed the experience. My pick ups and deliveries on occassion to Hazleton Pennsylvania usually went smoothly and this one did as well. Starting to make the connection onto I-80, I noticed an object 30 x 50 feet cone shaped, silver with black lines running down it off to my right, about 300 feet up. Looking through the trees I first thought it was some building or something, but as I cleared the trees, I recognized it to be hovering almost directly over I-80. 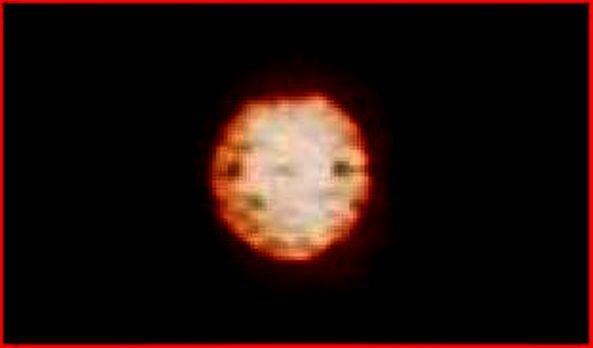 I proceeded west and noticed a larger craft just above it, a huge disc with a sharp edge that tapered to the center. The lower section of the craft lowered down while hovering and I did not see the smaller craft after so I presume it entered the larger craft. The lower section appeared to be a louvered non rotating level of the craft, maybe to dispatch and accept smaller craft. I looked over I-80 to the eastbound traffic and nobody was looking around up or down. Maybe fear, but a couple were pointing towards the large craft and at first were surprised then kind of fearful. I proceeded on to my destination all the while checking the CB and AM. NOTE: The above image is a rendering. I needed some fresh air and wanted to investigate the new enviroment of Eureka California. My friend and I had moved there in October 1996, and I had been told the river near Garbrville was a good destination to start. I was driving 50 mph taking in the scenery and as I rounded a curve I noticed a disc shaped craft near the ridge line across the river. Possibly a half mile away. I watched it move north slowly and then it headed slightly towards me. It was not noticeable because I was traveling straight south and then into another s-curve. Then as I came out of that curve I looked and it was directly east of me and much closer. I was concerned because there wasn’t alot of traffic. When a car passed going north, I tried to make eye contact and the man and women but they did not look in my direction. I watched the craft another 10 -15 seconds and then it vanished from sight. I arrived into Garberville 5-7 minutes later and had a cup of tea. I wasn’t sure what to do and hoped nothing happened to anyone. The news paper did not have any reports until a few days later when a small group reported a similar sighting. The first and second views were at an excellent angles. The first at a 45 degrees, the sunlight was just over the ridge and the lighting was picture perfect. The second was equally good, because the craft was just slightly north and east so the reflection off of the craft showed a main body as having a shiny surface rotating clockwise. The dome shape on top was reflective and white silver a touch lighter in color than the main body and not rotating. NOTE: The above image is a rendering. Me and a few friends were walking to the store at around 3:30am to get snacks. We walked through a large park with soccer fields, baseball fields and lots of open space surrounded by a forest. I saw the triangular shaped UFO flying relatively low over on of the soccer fields and it flew directly over us and continued on its path. I know this was not a plane or helicopter as I am very familiar with those. I saw the object peak over a line of trees and it immediately caught my attention as it did not look like anything Ive ever seen before and I tend to pay lots of attention to the sky above me anyhow. When I got a good look at it, I knew it was a UFO. I didnt think it was anything else. It moved along one path making an odd hovering sound (“hmmm”). It had 2-3 solid red lights on it that were large and circular and at least 1 white light that was a bit smaller and blinked a few times. Its hard to explain and be sure, though. When I saw it, I stared at it until I lost sight of it totally and about 5 seconds after watching it I had concluded that it was the classic triangle-shaped UFO. I was very excited though, as this is the first time Ive seen a UFO that was undoubtedly the same kind many other people have reported seeing. All other “sightings” Ive had were too high up and hard to tell if it was just an ordinary plane. I lost sight of the object when it went behind another line of trees and out of my view. 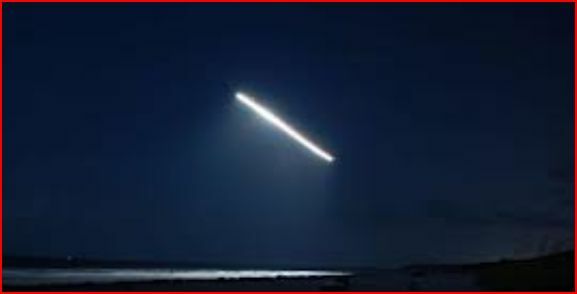 After the sighting, I looked up triangular UFOs and me and another friend that saw it agree it looked exactly like the picture I have attatched. Let me be clear that this is NOT a picture of the actual craft that we saw but it looks exactly like it. Earlier in the night the four of us were getting into some really deep conversations about spirituality and how we got here and annunaki and higher intelligence, E.T.s and these types of subjects. It was one of those conversations where you just really feel on to something different. I really believe that our conversation and the UFO sighting are related. NOTE: The above image is a rendering. Ken…I am writing to you because I looked up NJ Mufon and it led me to your page. On this 4th of July 2013, my brother and I saw something in the sky around 11:00. It would be hard to say that on the 4th of July we saw something in the sky at night with out someone saying it was fireworks but I can tell you we did see something that wasn’t normal and I actually saw it twice a few minutes later. As always on the 4th, my family has a big bbq and yes we do shoot fireworks lol. However after shooting our fireworks, I was always taught to clean up and sweep the street when we are done. That night after cleaning up the street and house, my brother and I were in our backyard finishing up before calling it a night. We were all done with the fireworks as were the few other neighborhood kids that usually break the law in lighting fireworks :) We all tend to finish early as to not disturb the neighbors to late. As I was walking to turn off the gas for my bbq, from the corner of my eye I noticed something white and orange moving slowly across the sky. I started to focus on it as I thought it was possibly a firework but I hadn’t heard any sound of it taking off? So I watched it slowly dropping down and getting slower as it did. I thought to myself, what the heck is this? Can’t be a firework. It was moving for almost 10-15 seconds and then it just stopped falling and held perfectly still. I know my fireworks as I am almost 37 and have probably had or shot every possible firework there is and there is nothing that can or does this. So I started looking at it and it was just floating perfectly still. It looked like an orange ball with a sliver/blue ring around it,. The orange was way more prevalent when it was moving but I could still see the orange when it stopped. I called my brother and he joined me in looking at it. He had no idea what it was either. So we watched it for what seemed about 30 seconds. Then, it seemed to slowly fade out, almost like a light inside a car when you close the door. It took about 15 seconds I would say until it faded out. So we looked at each other asking what could this have been? We then walked inside scratching our heads. Once inside, my wife asked me to bring out another bag of garbage. So I went out the front of my house to bring out the trash and as I did I walked into the street to spray some more water onto the swept up mess from the fireworks. Once I got into the street which was maybe about 3 minutes from when I walked into the house from the yard, there it was again. Only this time it was all the same color. It seemed more in the silver-ish glow color but the shape of it was more defined. 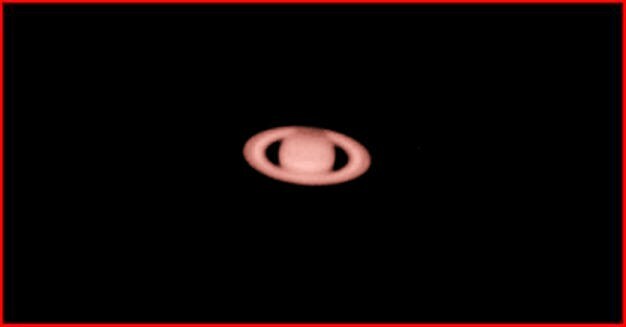 It actually looked like a mini planet of Saturn, but it was tilted forward a bit. It’s hard for me to say this, but my eye site is actually terrible. But that is what makes me more sure of what I saw. It was so clear and defined. I was not mistaken by any means. It was not a plane, not a helicopter, not a firework, not a bird. I went into the house to get him, but by the time I got back outside, it was gone again. This thing was there and we saw it. I wasn’t going to write anyone about it as I thought, who could I tell anyway. Well I have recently returned to work as I had off from July1st-14th. I was telling some of my co-workers and customers about my vacation and what I did. I have jokingly been telling them that my brother and I saw a UFO. Well today I was talking to one of the other managers at work about what happened and she almost jumped out of her chair when I said we saw one on the 4th. She said her and her father saw it too !! She even mentioned that a friend of hers, who also lives close to here, posted something on his face book, “did anyone see something weird like a UFO in the sky on the 4th?” She said she asked him what he saw and he told her something very similar to what we saw. I work about 1.5 miles from my house and she lives about maybe 2.5 miles from me. I am not sure where her friend lives but they both live in Woodbridge. I live in Edison. I don’t know if you have heard of any reports but I can tell you, there was something there with 100% certainty. If you have questions and or want to contact me, please feel free to do so. NOTE: The above image is a rendering. Special thanks to the witness J.R. for the UFO report. Jose Alves of Pontal was fishing in the Pardo River near Pontal. The area was deserted, the night quiet with only a slight breeze blowing from the east. 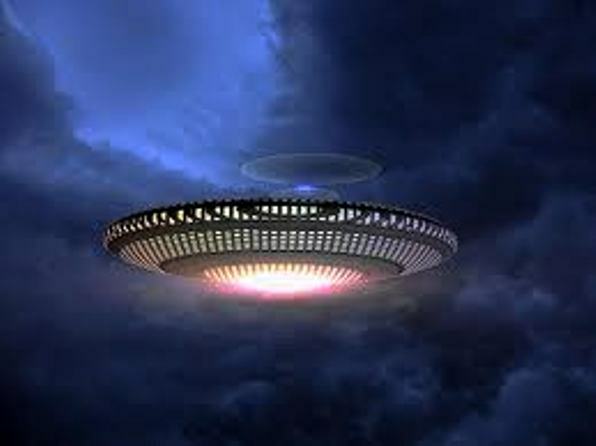 Suddenly Alves spotted a strange craft in the sky, apparently heading toward him. He watched, transfixed, as it closed in with a wobbling motion and landed. It was so near he could have touched it, he said. The object appearing as two washbowls placed together, looked to be about ten to fifteen feet in diameter. He was too frightened to run. Three little men, clad in white clothing with close-fitting skull caps, emerged from a window-like opening in the side of the small craft. Their skin appeared to be quite dark. Alves stood terror-stricken, watching the small creatures collect samples of grass, herbs and leaves of trees; one of them filled a shiny metal tube with river water. Then, as suddenly as they had come, they jumped back into their machine, which took off vertically as swiftly and as silently as it had come. Residents of Pontal, who heard Alves’s story when he came back to town, told the press that he was a quiet man who lived only for “his work and his family.” He had never heard of flying saucers and he was sure the little men were some kind of devils. NOTE: The above image is a rendering. I live in a marina. We were out on the terrace enjoying the evening coolness. Mostly clear sky with some clouds. Quarter Moon in the West. My wife was facing south, looking out into the harbour. I was facing her and looking into the harbour. All of a sudden she shrieked my name and said look up. Thankfully she pointed directly up but slightly left. Thankfully I looked up over my left shoulder into the sky above. And I saw it as it flew over our roof and flew across the harbour and across Lake Ontario. It was a huge oval, very brightly lit…whitelight. For want of a better description the light pattern within the oval looked snowflake like. It was travelling at a great rate of speed. Hard to judge, but I would say faster than our fastest jet. As it crossed the lake towards the City of Toronto it just vanished. We were stupefied at first. Then we looked out at the other terraces. We only saw two other couples having dinner but from their angle and the fact they were in strong conversation it was obvious they missed it. Several of the boats were occupied but again people were drinking and conversing and looking down. I saw no sign of commotion. So I had to assume we were the only ones who witnessed the event. Unsettling because other people would have added to confirm what we saw. My wife and I quickly went over the facts and we both were in total agreement with what we saw, in terms of height, angle, size, color of lights, rate of speed. We stood out on the terrace for the next half an hour. We stared out at the lights of Toronto. Which is about 25 miles away as the crow flies. Approx distance. There was a cloudy skyline. 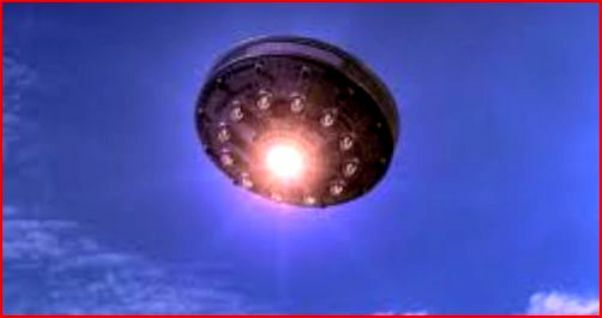 Twice we saw a huge oval light pop up and seeem to hover and pulsate. It was a mixture of color in terms of light. White and orange. It seemed way too large to be a plane going to or coming from the city airport. I could observe a few planes in the sky during this time in and around Toronto and they were small pinpoint white lights that you usually associate with a passenger jet. What the two appearances were I cannot speculate. They appeared for ten seconds and disappeared. Perhaps my eyes were playing tricks on me. But the original sighting of the huge oval is definitive to me. I know that was something I was seeing as it was and that it was something I have never seen before. All I can say about the appearance of the two quick hovering light events over Toronto within 15 minutes of the incident is that we sit on our terrace all the time at night and look out at Toronto and Ive never seen those two light events before. So it seems attached to the flying object that I did clearly see. Thank you for taking my report. NOTE: The above image is a rendering. Me and my 2 brothers were going home after playing some tennis in a small town next to where we live. My brother was driving his car, I was in the passenger seat and my youngest brother was in the rear seat. On the way home approximately 7-8 miles from our small farm I was talking to my brother ( the driver ) and out his window I seen a strange glowing object heading across the field in our direction, I pointed it out to my brother ( the driver ) and told him to pull over, He than seen the ufo and told me no that he wasn’t pulling over, but he finally did after a few seconds. Once he pulled over he said that he wanted to go ( while observing from the car ) and I said no way. I want to see this and grabbed the keys out of the ignition, got out of the car and sat on the hood while 2 brothers stayed in the car. This is what I saw. It was a glowing circular ( not perfectly round ) noiseless ufo a little higher than treetop level coming right over us from west to east at about 2-3 miles per hour. It was approximately 60 feet in diameter. It was so close that I had to look up at it and couldn’t see the top at that point. I do remember that it had a very bright glow that didn’t hurt your eyes as I looked at it, but I could not see any spinning or other lights. The thing that was weird and I remember the most is that once it got over our car, I was looking up at this thing and it seemed to slow down just a little bit more and I remember feeling weird but not scared that this thing new everything about me. Sort of like it was observing me. Than it crossed over the other side of the street still in a westerly to eastern direction and still moving at approximately 3 miles per hour than disappeared in the blink of an eye leaving no trail. I than got back into to the car and gave my brother the keys and he drove home without saying a word. He was the first one to enter the house and I remember my mom asking me what is wrong with your brother. He looks like he just seen a ghost. I then told her what happened. My brother, I found out later got so scared about the incident he messed his pants and still to this day will not talk about it unless pushed. NOTE: The above image is a rendering. 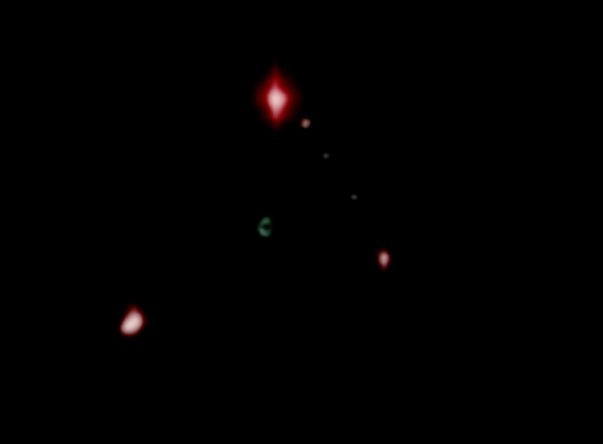 As I was standing in my driveway around midnight coming in from town, as I closed my car door I was looking westerly and noticed a triangular mass heading towards my direction. At first, due to a hazey atmosphere that night, no stars visible, I thought to myself how odd it was to see three aircraft low enough to be visible. However, as I continued to observe the lights, there were no sounds as though low flying planes were in the area. Even a higher altitude jet wouldve been audibly observable in the area this occurred. What I noticed the most was an eerie silence as the object passed over head and out over the horizon towards the east. It was moving too quick to be humanly possible for high altitude, which would have been impossible to see from the haziness anyway. But even if it were three close moving private jets, there were no sounds to be heard. Once the three lights went out of sight, every neighborhood animal in the adjoining areas began to make excessive noises at once. Dogs barking histericly, horses in a close farm along with cows began to go crazy. All simultaneously with no other provocation other than the dim lights passing overhead. I had a feeling of disbelief and fright because no human object wouldve been visible in the atmosphere without some sort of audible tone of an engine accompanying. NOTE: The above image is a rendering. In 1988 , I was taking my 10th flying lesson at Tullahoma Airport in Tenn. After 30 minutes of completing the flying lesson the instructor told me I could fly around for the next 30 minutes. As I was flying around practing a turn I noticed a object that was rectangler in shape , dull black , 60-70 feet long , altitude around 5,000 feet flying towards Normandy Lake. I asked the instructor what was it and he said he did not know. I asked him since I had some time left in my flight could I get closer. He said yes go ahead. So I did. I was slightly above it in Altitude and slightly faster than the craft. Each minute I would get closer to the object. The whole time rather my instructor or I was asking each other, —WHAT IS THAT — . It glided a straight course and stayed the same altitude the whole time. After 20 minutes of flight the instructor said we had to go back to the airport because our time was running out and their was someone else that might take a lesson after I did. Before I turned around I noticed we were about a 1/4 mile from it and about 500 feet above it in altitude. It made no sound , no exhaust , no markings , no change in flight. It was an a absorvent type of black. Dull , no reflection at all, which got my attention. I was flying slightly faster than it was , as I gradualy was catching up with it. When I turned around the last thing I say was it was over Normandy lake still heading North. I saw a referense close to there were the creek going by the Lake has-or had a horseshoe bend in the creek. The flight back to the airport was quit except for the Instructor or I asking each other in a puzzling tone, What was that. After we landed we were securing the plane and again we keep asking the same question . When he was filling in my student pilot log book we talked about it again . It has been over 25 years since it happened. What was it ? I had no ideal. I still dont. I have told the story over and over for the last 25 years , and yes I still wonder if I would have had 10 more minutes flying to observe it because all things being equal I would have been flying next to it. It was as big or bigger than a tractor trailier rig , and flying in a horizonal position. It stayed the same path the whole time. It had no wings , rudder , lights , cockpit , engine exhaust from my view point. The sun was bright and there was no clouds in the sky But there was no reflection of any kind at any time. If I had just flown for another 10 minutes. NOTE: The above image is a rendering. Pretty soon, even their customers were outside looking at the object. Soon, even his newspaper coworkers were outside taking a look. Hundreds of people in the Williamson, W.Va., area, including Pikeville, Ky., and Virgie, Ky., eventually reported seeing the object. Among the witnesses were the number of jets flying overhead as the object continued to hover for several hours. Lovern estimates at least 20 flew through the area. “Now this is only a theory,” he said, “I think this thing was showing up on the radar and they were checking it out. They were so close together, and so many of them, I don’t think they were passenger jets, but they were so high, I couldn’t tell for sure.”The object eventually disappeared from the sky while Lovern was on his way to the local high school to get photos from a higher elevation. The sightings were reported in the local media, including by Lovern himself, and also made headlines in a few national sources. 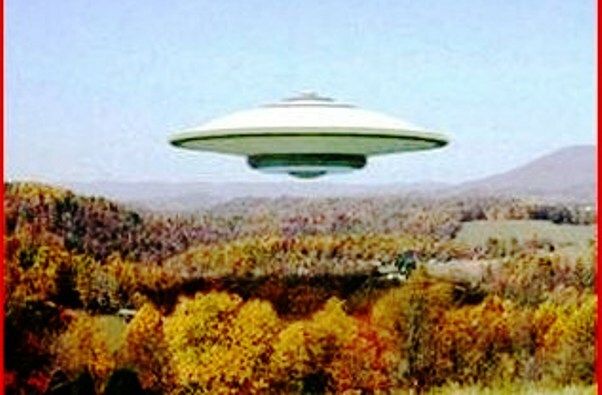 It was also investigated by MUFON, the Mutual UFO Network, an organization based in Cincinnati, Ohio, dedicated to investigating UFO sightings around the world, and declared to be “unexplained.” Some of the best images of the object were taken by an amateur astronomer, and area high school teacher, Allen Epling, who used his telescope to capture video of it. There were numerous sightings of the same object at the same time in an area covering 4 states, and reported to the police and newspapers. Sighting was with clear, blue, cloudless skies, no aircraft in sight, altitude unknown but definitely above airliner cruising altitude. The object hovered roughly in the same location for over 2 hours, not drifting more than 10 degrees in any direction. Was sighted approximately 60 degrees above the horizon. 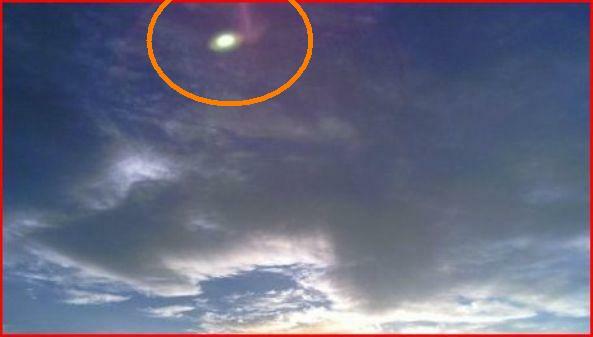 The Oct. 16 sighting was not the only sighting of the object. A similar sighting was reported one day before in Huntsville, Ala., one day later in Cross Junction, Va., and again on Oct. 18, in Gardiner, N.Y. Epling and MUFON International Director, Dave MacDonald, both gave interviews to media outlets claiming the object’s appearance and behavior are something they cannot explain. NOTE: The above image is real and only one of many incredible photos. Thanks to www.mysteriousuniverse.org and Kyle Lovern’s photo. Fishermen on a boat 20 miles south of Malta were raising their nets with a catch of fish when they saw an object floating on the water’s surface that looked like a black submarine. The fishermen were frightened because they thought it looked more like a monster than a submarine, so they quickly pulled in their nets and started the boat’s engine. At that moment a bright light from the “submarine” lit up the whole area and “little men” began running over the deck of the object. The fishermen couldn’t make out much detail from their boat but whenever the light illuminated the “little men,” they could see some sort of apparatus around their waist. When the witness was asked how tall these men were, he replied, “About the size of a 10 year old boy.” After a few minutes, the “little men” entered the “submarine” which began to glow so brightly that the fishermen couldn’t see the object. It then submerged. 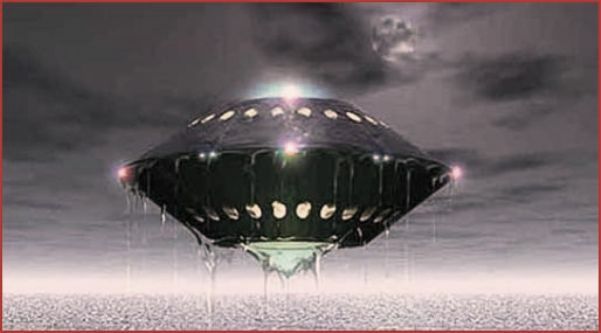 This reference: From the Website: http://www.mufor.org/ ( Note MUFOR stands for Malta UFO Research) NOTE: The above image is a rendering. 1pm- I was outside doing yardwork, when a helicopter approached from the south. 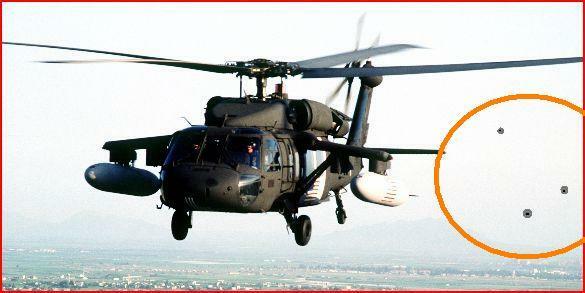 It was s military Blackhawk with no observable markings, traveling at high elevation and speed. Despite the altitude, the engine noise was very loud, which led me to believe it was at full throttle. Traveling behind it were three dark objects, what I first thought were birds due to their small size and erratic movements. As the helicopter got closer, it became apparent they were at similar elevation and speed. The objects were tiny, almost invisible unless silhouetted against a cloud. They were some kind of plate shape (wide and thin) and spent most of the observed time banking, leaving only the slim profile to observe. They were black, and very, very small. As far as I could tell, they changed elevation easily. In the first 60 seconds of my observation, they trailed behind the helicopter, flying in a triangle formation. It was very big and loose, the three individual objects banking in and out of formation. In the last 60 seconds, the broke formation and gained altitude. At least one got ahead of the helicopter, twisting in a S maneuver out of my line of sight. The other two climbed above the clouds, one totally disappearing, the other visible only briefly in breaks of the cloud. The helicopter never deviated course or speed during this time, it continued on a NE heading. The objects appeared to be above it at all times, at least a thousand feet at the beginning, and then slightly more by the end. NOTE: The above image is a rendering. I was working in west Texas for a water hauler company. My night job was filling fracking tanks for energy companies to use to frack formation in drilled wells. I had to stand on top of my truck to monitor the volumne as I unloaded by pump my tanker. I would lose prime on pump if it fell to low. We had a bright light that lit the area up around the tanks being filled. I was on the fartherest row of tanks away from the light station. I had my back to the light in the west. I was facing east and looking up for meteors in th dark sky in front of me and periodicly check the volumne. As I was facing east I notice an object in my right peripheral vision that my mind was saying a flock of birds due to the size. Even as I looked directly at it for an instance my mind finally realized it was a triangle shape vessel. The bottom had 5 slightly glowing domes in the triangle shape and the light glow was in the flight pattern of geese flying as seasons change. Anyway it was silent made no sound. It moved at an angle from my right to in front of me or I turn more in the direction it was flying. When it came to my front it turned slightly and the shape changed due to the rear was now in vision. and accelerated and in less than a second speed away. The rectangle shape , or rear of vessel just grew smaller until it disappeared. The vessel moved like some low altitude jets do in flight manuvers here in Alabama where I live. 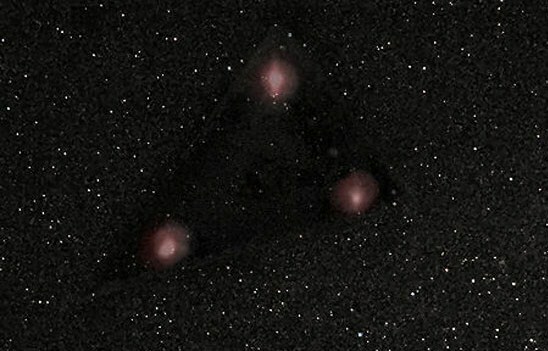 The 5 Domes were surrounded by black color That I could see against the star lit sky. The sides had lower half black and upper half lighter grey color. the top was the same grey. The vessel was hard to determine how far away it was but if it was around 1/4 mile away it was about 300 to 400 feet long and the rear was about 150 to 250 feet wide. It was maybe 75 feet thick. the domes were about 20 feet in diameter with black space, color, in between them. That is the best I can describe it now. NOTE: The above image is a rendering.